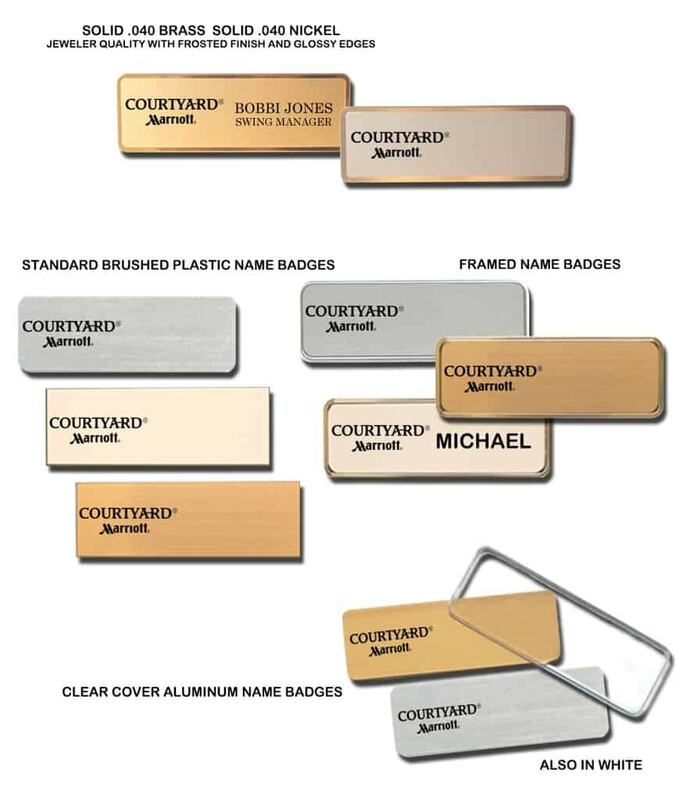 Marriott Brands Many customers use our business name badges ranging from Pittsburgh PA, Los Angeles CA, Dallas TX, Houston TX, Seattle WA, Miami FL, Denver CO, San Francisco CA, Boston Ma and Portland OR just to name a few. Offering National service since 1993. Products by Name-badges.com Inc. These are samples of logo name badges we’ve done for Marriott Brands.